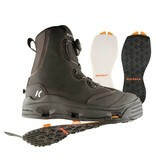 The Devils Canyon Wading Boots for Men from Korkers® fits like a glove and delivers athletic and agile performance. The OmniTrax Interchangeable Sole System adapts your traction to any fishing condition, and includes 2 interchangeable outsoles—Kling-On® and plain Felt—that can easily be switched based on the streambed type. This innovative technology was created with 3 simple design criteria in mind: ease of use, reliability, and durability. 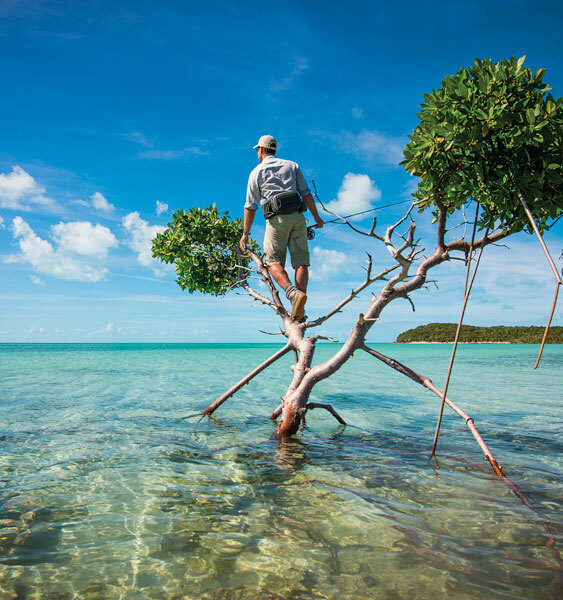 Hundreds of hours of field testing have resulted in a design that is absolutely reliable. All OmniTrax soles are constructed of the highest quality materials. Hydrophobic materials faster dry times lessen the chance of spreading invasive species, and large, integrated drainage ports and internal drainage channels reduce water weight as you move. The M2 Boa lacing system quick on/off and custom fit, and the comfort unique stretch upper cuff provides athletic, glove-like fit. Average weight: 2 lbs. 14 oz.